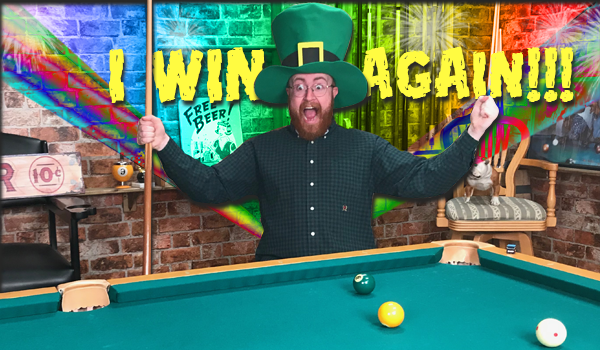 Whatever your favorite billiards game is there is one thing that they all have in common...luck. The most even tempered people can lose it when their opponent gets a seemingly endless array of accidental safeties, balls going in the wrong pockets and lucky nudges that magically open the rack up into a dead runout. Dealing with the rolls is one of the hardest parts of playing pool, and while 'call everything' ten ball is slowly taking over at the professional level, most local leagues are still playing 'call nothing' 9 ball. After years of painful matches in which my opponents have been rewarded for their mistakes, I have devised many strategies to deal with the rolls and curb the urge to pour sugar in my opponents' gas tank after a loss. Most of the strategies involve lying to yourself and require a tremendous amount of discipline, but if you can employ them in your game the rolls will have a minimal effect on your mental state, and will allow you to get the most out of your physical game, even when the world seems to be falling apart around you. In pool we call it 'fading the rolls'. 1. Your opponent shoots at a ball and it goes in the wrong hole. Could anything be more disgusting or frustrating? No, but you can't allow yourself to think about that. What I like to think when this happens is, 'That's ok. 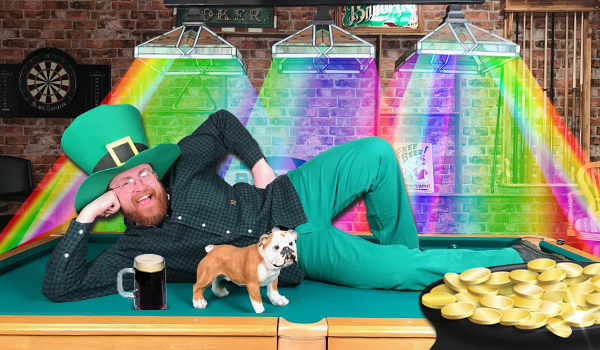 He needs luck to beat me. Bring it on.' It sounds simplistic, but not allowing yourself to get upset will keep you in the game, and you'll be ready if you get another opportunity. It seems like every time they miss a ball you have no shot. It is very frustrating, but stay patient. If you can see a piece of the ball there is usually a safety available. If not, you must welcome the challenge of kicking or jumping at the ball. Use all of your effort for a positive solution instead of thinking about how lucky it was. Negativity won't change the outcome. Using all of your knowledge and effort to survive will. Frank Says: "You can’t win ‘em all, but you can get close! 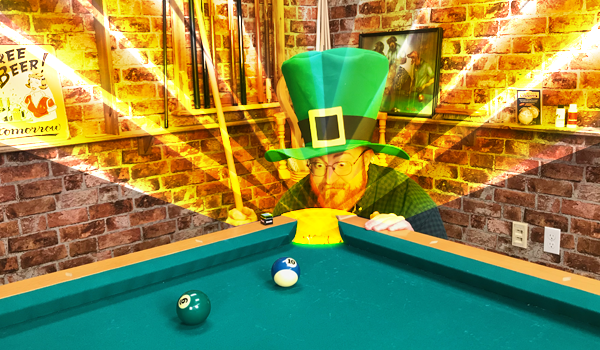 Make sure you’re as lucky as you can be with our favorite Irish Pool Cues! " It's not your opponents fault. Of course they are happy that they won, but there is no reason to call them out or make losing any uglier than it is. Get yourself to a quiet spot, and allow a 20 minute grieving period where you either vent to a friend, cry or yell. Once the 20 minutes is up, that's it. No bringing it into the next match, no going to bed upset or angry, no taking it out on your significant other. From that moment forward, it never happened. Tricking yourself to stay positive is one of the best ways to avoid spiraling into a slump, and it will also make you a model of good sportsmanship and a ferocious competitor. It may even earn you the highest compliment in pool; being called a player with a lot of heart.